As a business owner, the most valuable investment you will make is towards a secure safe or vault to keep valuables stored. At Delta Locksmith in Houston, we aim to secure each establishment, whether it be commercial or home residence. We can install or repair any particular type of safe and we are also on call 24/7 in case of emergency lockout situations. We can repair damaged or malfunctioning safes without any problems as well. We and our network of affiliates have a prestigious reputation for providing top-notch quality safe repair services at affordable prices. Safes serve practical uses for containing such valuables as jewelry, cash, paintings, private documents and guns. Burglars are highly intelligent and they will not waste precious time trying to decode or locate a strategically placed floor or wall safe. Our job is to make their job as difficult as possible. We and our licensed affiliates will gladly replace any old or outdated safes that are not working properly. Sometimes the issue could be as simple as a coiled spring or something a bit more complex as a digital code. Nonetheless, we’ll be by your side to fix the issues. We can be reached 24/7 in case you need an emergency spare key, CCTV repair, file cabinet lock repair or security system repair. 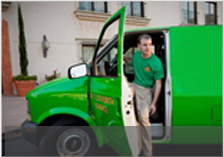 We go out of our way to ensure your safety and that’s a guarantee. We and our licensed affiliates work with all major safe and vault door brands. Our team of experts will help you choose on a safe that is right for your establishment and budget. Is this your first time installing a safe? Don’t worry, we’ll be happy to explain the differences between specific brands if you are unsure of which type of safe to have installed. One thing about us is that we are super friendly and we’ve always got your best interest at stake. Contact our support department to learn more about our other commercial and residential security services. You’re always in safe hands with Delta! Find out more on how to choose the best safe for your business Or for your house.